so here are links to my presentations from the iTeach Tech Conference (Taking place June 12th and 13th in Indiana) and a short blurb describing what they're all about! Heard of PBL, but don’t know how to implement it? Come to this session if you are fired up about helping kids see opportunity where there are challenges, want to foster creativity, encourage them to pursue their curiosity, and empower them to reshape the world around them! 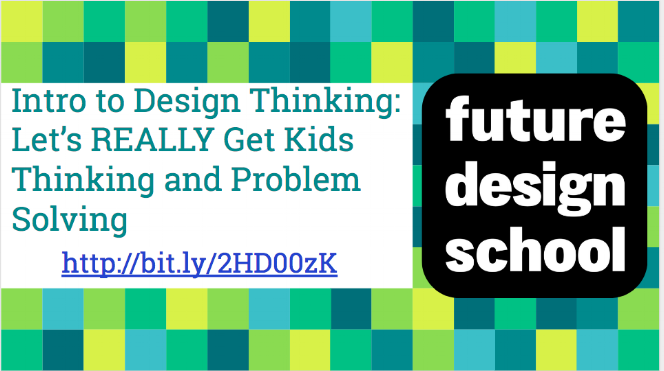 This session is for educators ready for a taste of the design thinking process created and designed by Future Design School. You will learn how to introduce the idea of REAL Problem/Project Based Learning though introduction activities that you will experience yourself in this session and carry into your own classroom. Let’s get the thinking started! Oh, no… it’s happening. Your classroom or school is going 1:1 and you have no idea where to start. Let’s turn “Oh, no…” into “Oh, YES!” as you learn the Four P’s of introducing EdTech into your elementary classroom full time. I will share with you tips and tricks I have learned and/or used in my very own classroom to help young students learn that iPads and other devices are more than a toy, they are a powerful learning TOOL! G Suite for Beginners: CRASH COURSE! This session is for all of you beginners ready to dive into the World of Google Suite! Get ready to learn a little about 5 Google tools and to take with you the understanding that G Suite as a tool that can transform any classroom, K-12. Let’s Get Googley! You see HyperDocs and think, "Wait, what?" This session will teach you all about what HyperDocs are and how they can be used to transform your classroom. Help your students learn to solve problems, read authentically, and teach themselves and other students as you go from gatekeeper to facilitator using blended learning! Come to this session if you want to seriously transform from gatekeeper to facilitator! HyperDocs have transformed my classroom in the last year and I want to share with you how it all happened! This session is all about the steps I take to create an opportunity for primary kids to create, collaborate, communicate, and sharpen their critical thinking skills TOGETHER! Chris Young and Amber Harper want to offer encouragement for teachers and their students to take risks and learn from mistakes using technology. They will share the story of how they met at Google and how the lessons learned at Google campus have changed not only their own teaching lives, but also the learning lives of their students. 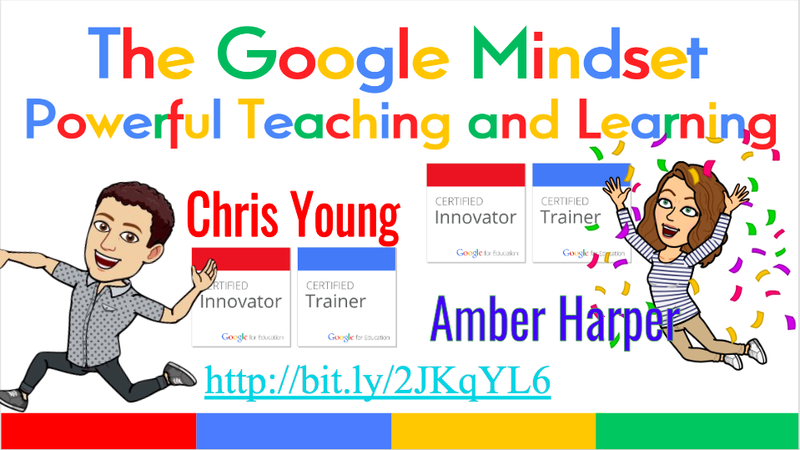 Come to this session for inspiration, fun, and practical classroom applications of teaching and learning with a Google twist!